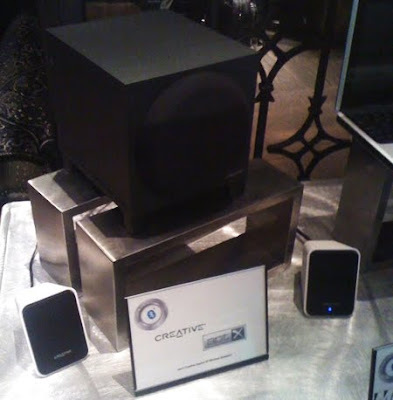 Blutooth SIG - the trade association responsible for promoting the Bluetooth standard - has awarded the Best of CES Award to the Creative Inspire S2 Wireless! Praising the speakers for its functionality, innovative design, and positive user-friendly experience, it said that the Inspire S2 Wireless "exemplifies all these characteristics and more, capturing the best in the evolution of Bluetooth technology." The Inspire S2 Wireless Speakers are a collaboration between Creative and apt-X (who enhance the music quality with its apt-X codec while streaming with bluetooth) and it's also Creative's first wireless speakers for the Inspire series. We hear that the upcoming Zii Sound speaker dock would also use this same technology but more on that later when we have the news! Once again, congrats to Creative!